Coty Inc, the US maker of Calvin Klein and Chloe perfume, will buy Procter & Gamble's perfume, hair care and make-up businesses for $12.5 billion in the biggest cosmetics merger in recent history. Coty would become the number one perfume maker ahead of L'Oreal and number 3 make-up provider behind its French rival and Estee Lauder. It would run the perfume licenses of Gucci, Hugo Boss and Dolce & Gabbana as well as make-up brands Cover Girl and Max Factor, more than doubling its size with combined sales of more than $10 billion. The deal comes as Coty's sales across categories have either been stagnating or declining for more than two years while P&G has been struggling to expand its beauty business. Coty shares fell 4.6 per cent, while P&G slipped 0.4 per cent as investors questioned the benefits of the mega-merger. “We are getting critical mass around the globe with access to key markets such as Brazil, Japan and Mexico," Coty chairman and chief executive Bart Becht said in an interview on Thursday. Analysts said the mass beauty brands Coty is set to acquire is expected to do well in emerging markets due to low pricing but the company has to invest in new initiatives to revive growth in developed markets. “The deal is extremely transformative for Coty, but investors are uncertain of what this means for the company,” retail research firm Conlumino's chief executive Neil Saunders said. The debt Coty will assume, fairly small savings and questions on how it will cope with the transition make investors nervous, he said. Coty said the deal would save $550 million, including $400 million in non-transferred overhead costs, but take on $2.9 billion of P&G Beauty' debt. But Coty's stock is still up about 17 per cent from before Reuters' June 8 report that it was fighting rivals such as Henkel for P&G's beauty business and had submitted a bid for the P&G assets. The sale is part of P&G's plan to narrow its focus on fewer, faster-growing brands. The world's number one household products maker said last year it could sell about half of its slow-growing brands. The 43 brands being sold generated sales of $5.9 billion, or 7 per cent of P&G's total revenue in fiscal 2013/14, and adjusted income of $1.15 billion. By taking on P&G's hair brands Wella and Clairol, Coty is entering a whole new business, which ranked number two in terms of market share. On a call with analysts, P&G said it prefers to execute the deal through a "Reverse Morris Trust" split off transaction in which its shareholders could exchange P&G shares for those of Coty and the new beauty businesses. However, if it is executed as a split-merge, P&G would establish a separate entity to hold these beauty brands which would be transferred to electing P&G shareholders in a tax efficient transaction. There will also be a simultaneous merger of the new entity with Coty. P&G said it expects to close the deal in the second half of calendar 2016 pending regulatory approvals. P&G shareholders would own 52 per cent of the combined business while Coty's existing shareholders will own 48 per cent. Coty shareholder JAB Holdings, the Luxemburg investment company of the billionaire German Reimann family, will own a third of the combined entity. Becht's BetCoty has gone through a painful three-year reorganisation with departures by many top executives and marketing veterans. Becht, who will be running the combined business, said Coty would take on all of P&G's Wella and Clairol management teams as Coty had no experience in that sector. The company expects hair colour products to account for 24 per cent of total sales after the deal was completed. 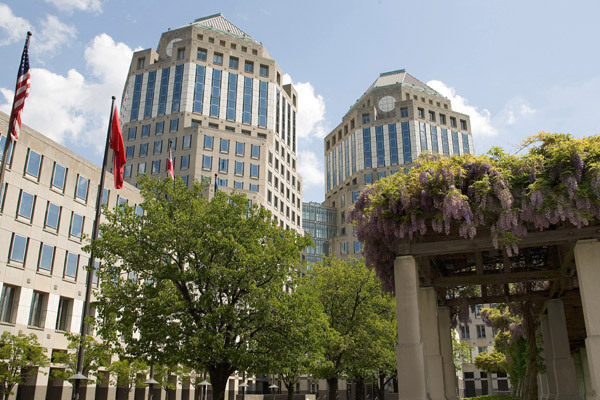 P&G's 10,000 employees will join Coty's 9,000, Becht said. P&G's beauty chief Patrice Louvet will not be part of the new entity, Becht noted. P&G refused to comment on specific management moves related to this deal. P&G estimated a one-time gain of $5 billion to $7 billion, depending on the value of the merger at closing.